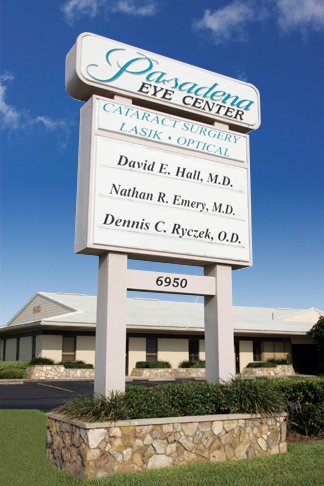 Pasadena Eye Center is dedicated to providing the highest quality eye care to our patients beginning with comprehensive eye exams. Our physicians place emphasis on the medical and surgical management of glaucoma as well as the latest technology for cataract and refractive surgeries. Our dedicated physicians and staff spend quality time with each of our patients to assess their visual requirements, concerns and lifestyles. Comprehensive, dilated eye exams are the tool by which many health problems can be diagnosed in their early stages. The dilation allows the physician to evaluate the "back of the eye." Some eye diseases, such as glaucoma, begin without any symptoms at all. Sometimes even minor symptoms, such as blurry or cloudy vision, dry eyes or eye discoloration, can signal a physical illness not related to the eye, such as diabetes or high blood pressure. This type of cataract surgery utilizes the latest technology. The femtosecond laser performs several crucial components of cataract surgery including corneal incisions, Arcuate incisions (to reduce astigmatism), the capsulotomy (opening in the capsule that holds the cataract) and softens the cataract to allow for easier removal. The femtosecond laser allows for a customized surgical approach allowing improved outcomes and safety. Please watch our video "Laser Cataract Surgery vs Traditional." Bladeless laser surgery is the most technologically advanced option for cataract surgery patients, providing unmatched accuracy so the procedure is customized to your eye. The femtosecond laser can reduce the amount of astigmatism at the time of cataract surgery by using Limbal Relaxing Incisions (LRI). An LRI provides significantly clearer distance vision. However, you will still need glasses for reading or near vision. Patients must be candidates for this opportunity which may be discussed during your comprehensive eye exam. Visit our Video Series page to view more video presentations about vision care, treatments and procedures.